Welcome to the CentreStack Quick Start Guide. 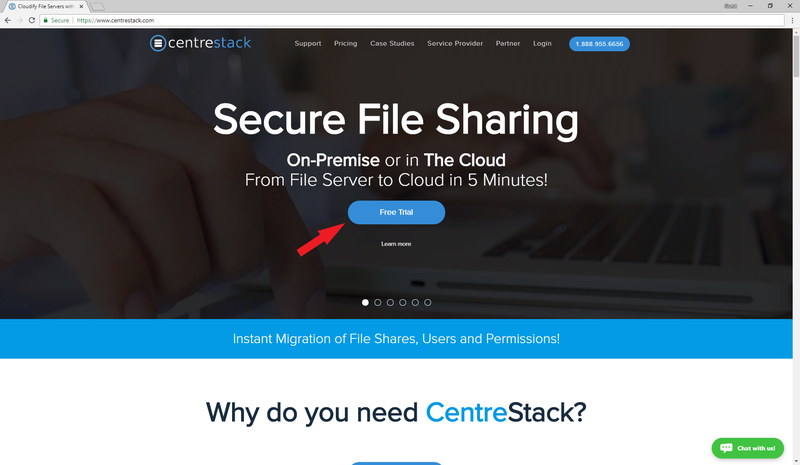 This guide describes on a high level how you can use CentreStack to provide managed file sync and share solution for your internal employees and customers. The goal is to provide your customers and internal employees a both easy-to-use and also secure-under-control way to access file servers from remote locations and mobile devices. To get started, the first question is where and how to deploy CentreStack. Does CentreStack need to be next to the file server, in a data center or just use the Cloud version from CentreStack itself. There are three basic deployment modes to use CentreStack solution. For on-premise self-hosted centrestack, CentreStack server is directly installed in the company network. On one-hand, it is facing the Internet with port 443 (HTTPS) like any web server does; and on the other-hand, it is connecting to company internal network and IT infrastructures such as File Servers and Active Directory. CentreStack server normally sits in the DMZ or behind a firewall to be protected against un-authorized outside access. The business objective is giving mobile and remote access to file servers without the need of a VPN. It is more productive than traditional VPN by greatly reducing the number of VPN support tickets for internal enterprise IT department or for the managed service provider. If you are a managed service provider that manages hundreds or thousands of end points across multiple clients, it is a good option that you setup CentreStack server in a data center. There are a couple advantages of setting the CentreStack server up in a data center. The data center is closer to Internet backbone than a business office is, thus it has faster Internet speed. Setting it up in a central location and in a multi-tenant fashion, it is easier to manage as compared to one-centrestack-instance-per-client setup. 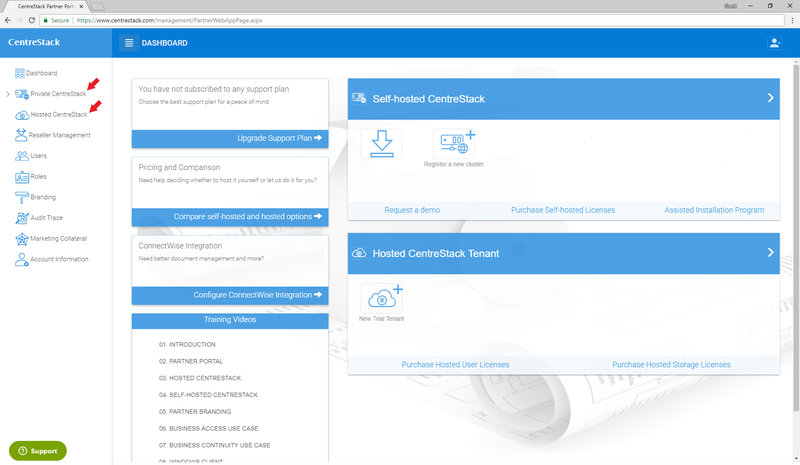 Similar to Data-Center MSP-Hosted, CentreStack has a Cloud version that is readily hosted. This works well for managed service providers who have smaller clients here and there. Because of the smaller number of total clients, the Data-Center MSP-Hosted overhead is relatively high. MSPs can use the Cloud version since it is readily deployed and ready to use. You will need a CentreStack partner account to start with, regardless of which deployment mode(s) you will use. Step #1 will always be going to the centrestack.com and register. When you are on the CentreStack web site, you can follow any “Free Trial” link to start. Once you are done registering, you will be in the partner portal that you can download software, setup hosted trial and etc. © Copyright 2018, Gladinet, Inc..